2016 is finally coming to an end — and not before time for some people's tastes. As years go, it's safe to say that this one has been a divisive one. While it's been a frustrating year for many people, for those who produce podcasts loosely shaped around current events there have been rich pickings available. 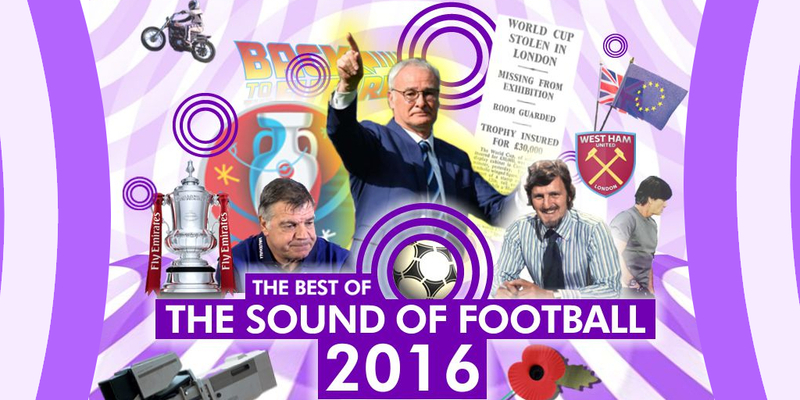 It's been a bumper year on The Sound Of Football with 44 podcasts being recorded, the highlights of which have been selected here, produced and presented by Chris Oakley.